The most important day of a woman’s life is her wedding day; it is the one day whereby everything has to be perfect. Perfection is not achieved overnight, it is a long journey with many twists and turns along the way. But our journey had one key person at the helm – our wedding planner, Charlie. 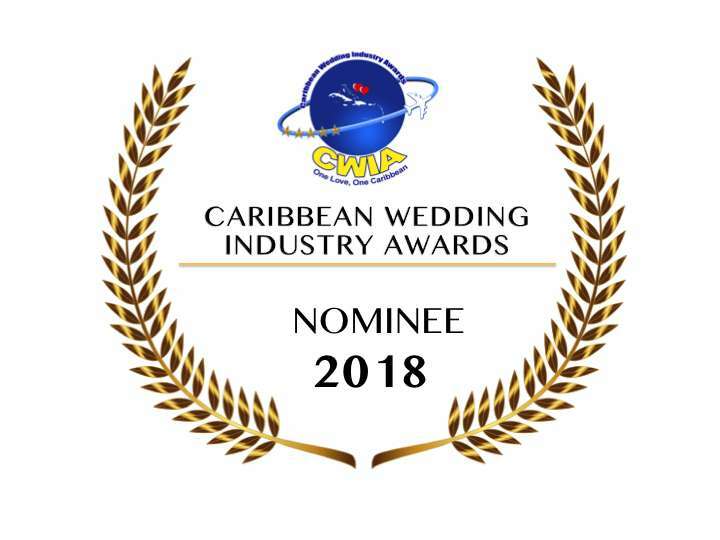 As a UK resident with a Saint Lucian family it was a big decision to get married abroad and we were not sure if it would be remotely possible to incorporate the scenic beauty of Saint Lucia with the style and finesse of a chic, modern style wedding. Charlie was our Wedding Guru who managed our expectations from the initial FaceTime consultation. 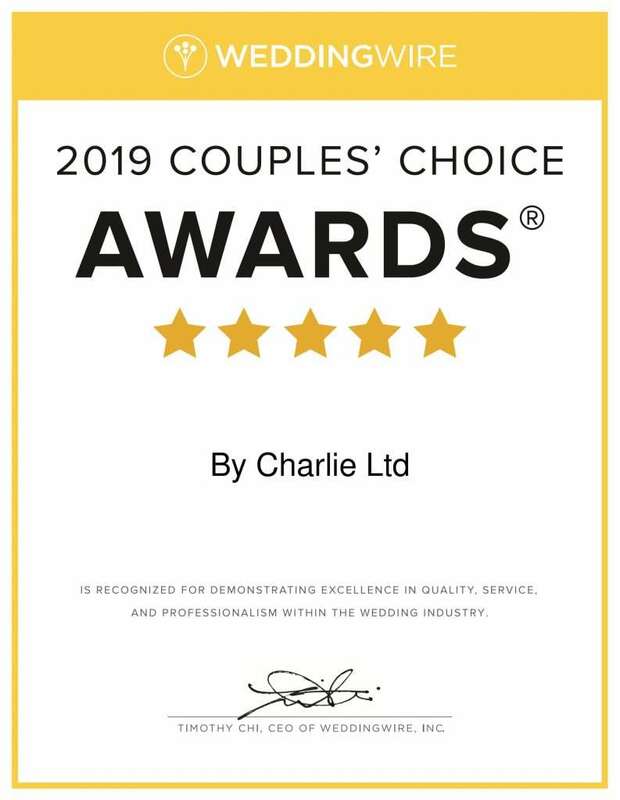 We enlisted our trust in Charlie’s expertise and knowledge, two-years prior to the big day. 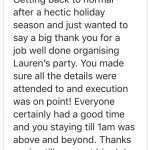 The biggest hurdle we had to endure was being in two countries with a 4/5 hour time difference; however Charlie was accommodating of this fact and was in regular contact throughout the planning stages despite organising other events and weddings. Charlie went above and beyond her role by taking time out of her holiday in the UK to meet with us and go through our wedding plans. 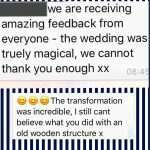 Charlie was meticulous with the finer details by ensuring we covered all aspects of the wedding and reminding us of key elements to consider throughout the process. She offered cost saving ideas and/or options so we always had a choice whilst staying within our budget. We decided that we would have a pre-wedding boat party and this idea was put to Charlie for some advice/tips. 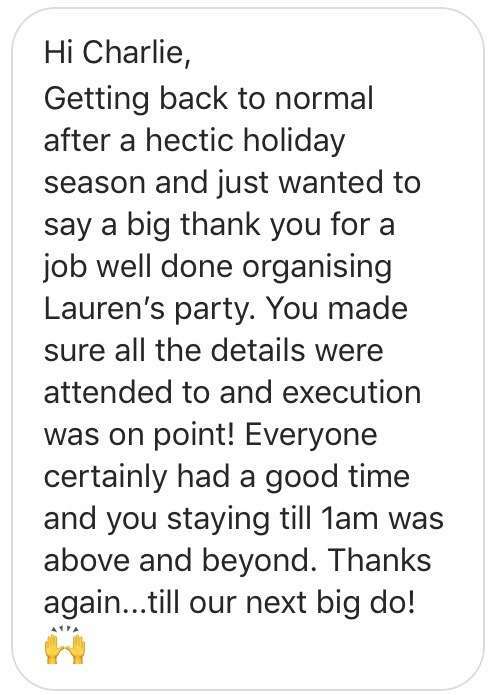 We were amazed by her ability to provide us with a contact she knew to make the boat booking and she helped organise the DJ within an hour of the suggestion. Charlie made sure she was at the dock on the morning of the boat party ensuring that drinks were loaded on board and the DJ had everything he required. 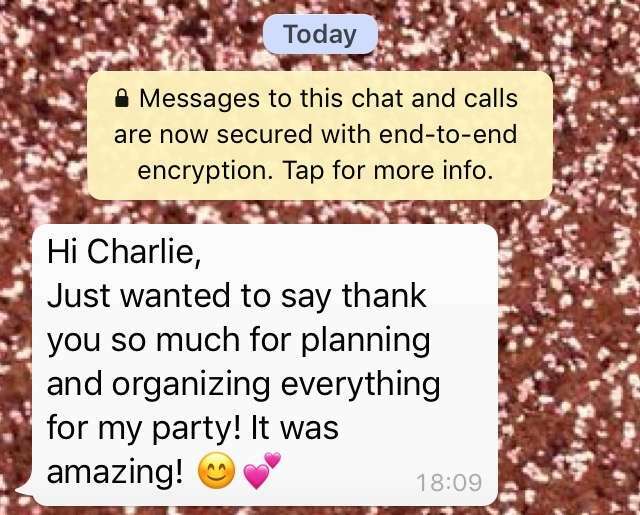 This is an example of Charlie’s dedication to go above and beyond her role as our wedding planner as she wanted to ensure the whole experience, for us and our guests ran smoothly. 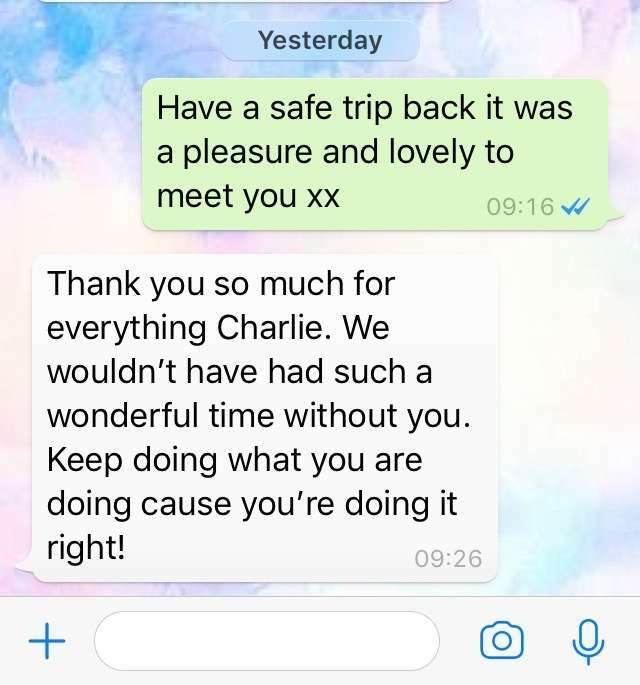 It is apparent that Charlie has built an excellent rapport with her vendors/contacts that she knew instantly which ones would be ideal for our wedding. 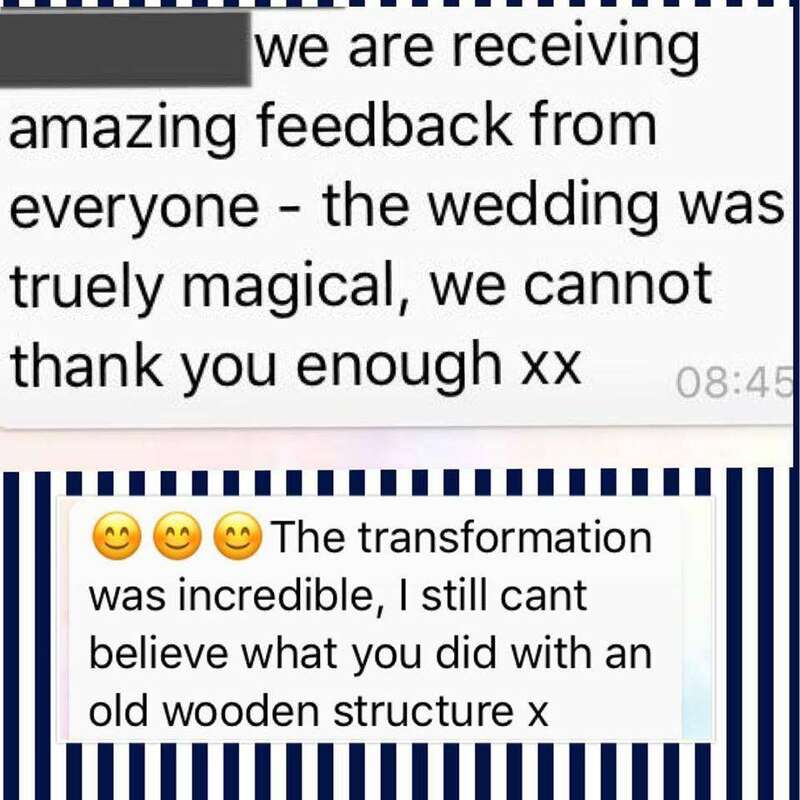 Her vendor recommendations were spot on, as they were very reliable and professional and she managed the relationships perfectly during the whole process. It should be noted that Charlie’s 3-D designs were truly breath-taking and I often found myself saying ‘I just want to jump in the image now’. If you are more of a visual person (like we were) they are perfect for bringing the ideas to life. The execution of Charlie and her team was effortless; calm and relaxed on the surface, but working relentlessly to deliver perfection. 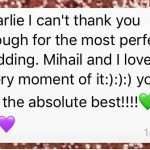 We have received so many compliments about the success of our pre-wedding boat party and wedding and this is solely down to Charlie’s experience, determination, dedication and hard work. 3 days before our wedding, while on a site inspection Charlie identified a huge problem which could have ruined the wedding day. Instead of coming to us with a problem she came with a solution and executed this with so much ease, it was like the change was part of the original plan. On the day of the wedding, we didn’t have to worry about anything. The vendors had been briefed by Charlie’s event pack so everyone was aware of the agenda for the day, their roles and all the timings. She got us to where we needed to be and ensured all essential elements were covered. I simply cannot say praise Charlie enough. She made our day, our entire week so memorable. So perfect. She went so above and beyond for us. I would recommend her with so much confidence that she will make this day a happy and memorable experience!!! Top notch, caring, lovely lady who cares and takes so much pride in what she is doing! Our wedding was an absolute fairytale because of the hard work and dedication of Charlie. Marc and I were nervous about the planning of our wedding because we both come from big families and inevitably would have a big wedding but the entire process felt flawless because of her. When I first met with Charlie we spoke about Marc’s and my vision for the big day, all the dos and don’ts and all the must haves and to the last day of planning she remembered every single one. During the entire planning process Charlie was my right hand, friend, advisor and counselor. She was there at any given time of day/night that I needed a question answered, had another bright idea for her to execute or just wanted an update on how things were going. 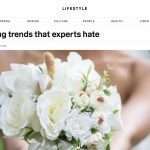 She helped me come up with ways to make my wedding even more memorable, unique and cut down on costs and still have everything I wanted. I got to be as involved as I wanted in some aspects of the wedding and distance myself where I preferred her to make the executive decisions. On the day of my wedding I felt nothing but excitement. I did not have a single worry as the process showed me just how capable Charlie was. I got ready with those closest to me, we laughed, drank, ate and counted down till the moment I got to say “I do”. 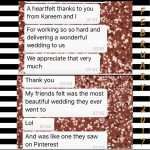 During that time Charlie was checking on me, making sure food was delivered to our room, our flowers stayed in water, pre wedding gifts from my now husband were delivered all the while ensuring all our vendors stayed in check. Anything that went wrong was solved by the time we even found out. Charlie was truly a miracle worker. I could go on and on about how happy we were with our wedding but we would be here all day. Thank you Charlie for everything you did to make the biggest day of our lives a fairytale. Thank you for being my wedding fairy god mother. 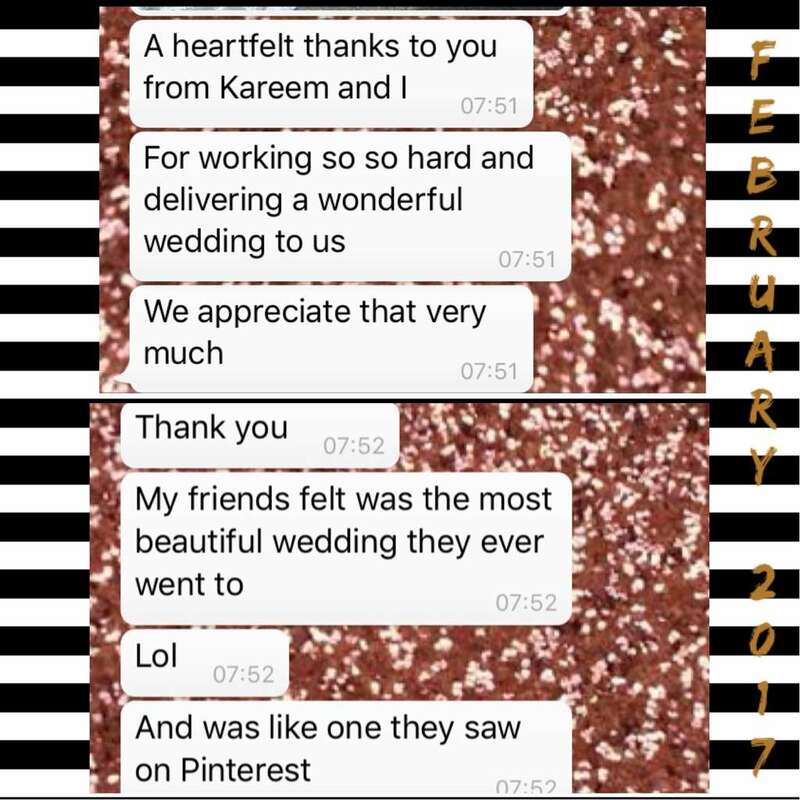 To this day….2 months later……our guests are still raving over how epic not only the wedding was, but the entire weekend down to every last detail- Welcome Packages, shuttles to and from the airport and hotels, make-up and hair! There continues to be one common feeling from everyone who attended or was associated with the weeding………..she is super fantastic! Charlie, without you our wedding weekend would not have been anywhere near to the dream it turned out to be. And furthermore, the day surpassed all of my dreams and expectations, and anyone who has asked ‘how was it’, I tell them as much! Your professionalism, tireless approach and patience is exactly what we needed to feel comfortable with our decision. There was no problem you could not solve, or no hurdle you could not find a way around! It is not easy to leave one of the most important days in the life of a couple to someone hundreds of miles away in another country. But from our first meeting, my fears were allayed and we felt at ease knowing we now have a partner who is in this with us and is not just doing a job. 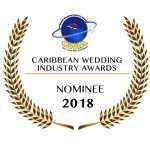 If anyone is planning any type of event in St. Lucia, we strongly recommend By Charlie Limited. Charlie we wish you continued success and we could not have asked for a better friend to take us on that journey! Thank you again for what is and will forever be the most memorable experience of our lives. Folks are still talking about it. I meant every word I said: your ability to remain cool under pressure and deliver was exceptional! 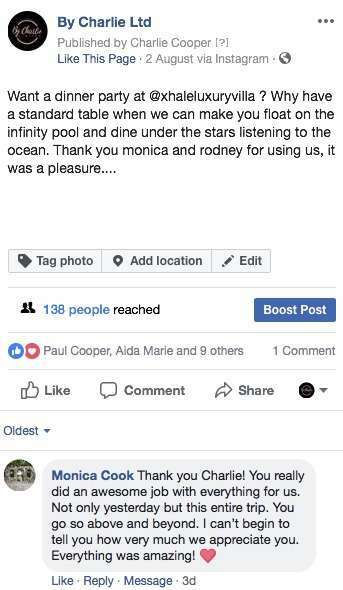 We will definitely continue to sing your praises and recommend you highly! Charlie – enough cannot be said for everything that you did to make this intimate 50th birthday celebration exactly as I had intended. It is a great thing having your BFF live in paradise (St. Lucia) however with me living in Toronto, the distance in planning an event, no matter how big or small, is a bit of a leap of faith. Having not seen the venue nor worked with you previously, you were able to get a good feel for what I was looking for and executed in a manner that seemed effortless. Your suggestions to add special touches were laser accurate…simple and exceptionally effective. I was particularly impressed with the moments when you offered suggestions that I may have been previously opposed to with “Let us just see what this looks like…we can always change it if it doesn’t work”. You didn’t take the “Trust me” approach but rather demonstrated all the reasons I could and now do. To have this calibre of professionalism, talent and innate passion on the island is a gift. I may be flying you to a yet to be determined destination for my 50th as I am confident you can hold your own regardless of the location! 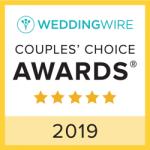 Sean and I want thank you for the wonderful job you did for Mikaela’s and Mihail’s wedding. Everything was perfect! We couldn’t have asked for a better day. 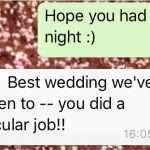 You did all the planning, calling, organizing out of town guests, food, bar and somehow managing a large, very talkative wedding party plus much much more! All of our friends enjoyed themselves and kept complimenting us on what a great event it was. One friend described the day as Epic! Your decorating ideas were wonderful as well as all the helpful hints you offered, we could not have done this on our own. So, thank you, thank you, thank you, from the bottom of our hearts for making this day so special for all of us. Charlie did an absolutely amazing job on our wedding… Not just the day but the entire week. 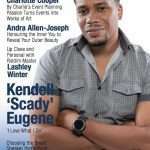 We had about 70 guests fly into St. Lucia for our wedding plus another 100 or so from St. Lucia. She made sure to help with everything – from perfect welcome packages to bus pick up schedules, day of schedules and working with a large (easily distracted) wedding party. There was so much involved in making our week run smoothly and Charlie nailed it. My guests were all so impressed with how organized everything was… they kept thanking me, but really it was all Charlie. 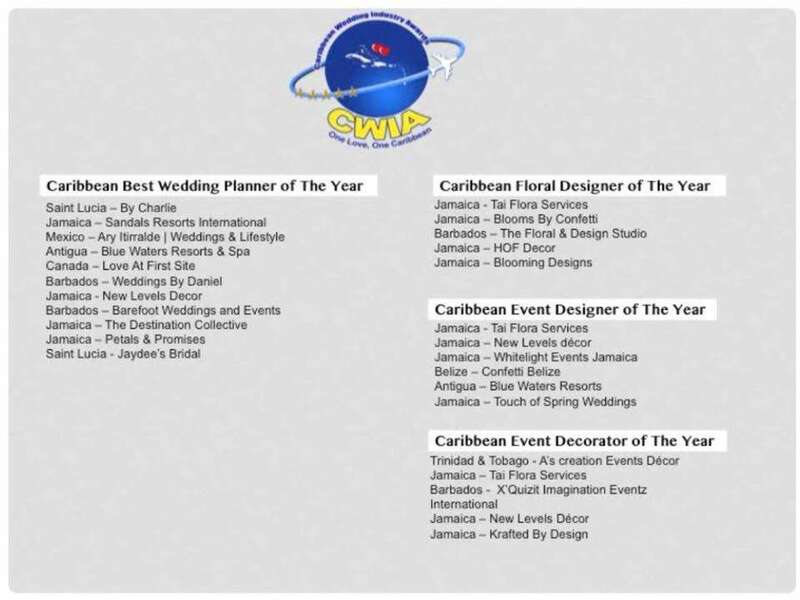 I would highly recommend her services to anyone planning events in St. Lucia, not just a wedding, but anything. Charlie really took the time to try to figure out what we wanted, what was important to us. When we wanted to be hands off she took the lead and when we wanted to be more involed she welcomed it. She always re-assured me that everything was in order. Planning anything in St. Lucia is difficult because you are at the mercy of “island time” but Charlie is truly raising the bar. I could go on and on about how perfect our wedding day was… If I could do it over and over again I would and I am so thanful for all of Charlie’s hard work. Charlie helped us pull off the wedding of my sister’s dreams. My sister doesn’t live in St. Lucia so I was asked to step in to help with the planning. I mistakenly thought I could take it on but, fortunately, I figured out pretty quickly I needed an experts help. Charlie took matters into her hands. Right away she showed us a 3D plan of the reception which was impressive. She listened to what my sister wanted and delivered 150%. My sister kept saying how perfect the day was and it was more beautiful than she ever expected. The whole day ran smoothly with absolutely no hiccups. Charlie was always professional and always courteous. We couldn’t have asked for a better wedding planner. Thanks Charlie! This beautiful celebration flowed so smoothly due to Charlie’s hard and tireless dedication to excellence. The flowers -especially that amazing garland & drape design at the nuptial altar-against the ancient stone struck the perfect note and the comfort of guests and table settings were thoughtful. Charlie should be very proud. This important event had the potential for hiccups and slip-ups since it was outdoors and we had on-off rain but none were visible due to her fore-thought and contingency planning. Daniel and I got married 2 months ago. 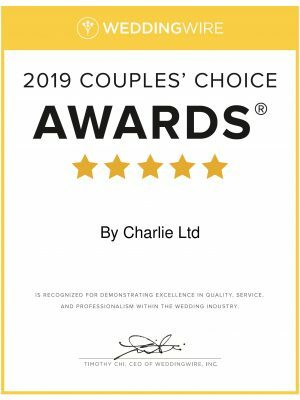 I thought planning a ‘destination wedding’ would be a nightmare, however I could not have made a more brilliant choice by using By Charlie Ltd. It was as stress free as wedding planning can go! She listened to our wishes and ideas and had very creative and unique suggestions which made our special day truly unforgettable. Thank you so much Charlie! 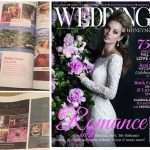 My husband and I knew that it would be challenging organizing a wedding in Saint Lucia while living in Canada. Having Charlotte organize the wedding was best decision we could have made. Charlotte had everything so well organized that we knew how everything would look even before the big day! She used computer software to show us exactly how our venue would look on the day of the wedding. This meant that although we were so far away, we felt as though we were there. On the day of the wedding everything went perfectly, and not just for everyone that attended, but it was perfect for me. Charlotte captured my vision and she made sure everything was exactly as I wanted it. She had ideas that I loved and would have never thought of myself. She was unbelievable organized and was always five steps ahead of me during the planning process. On the day of the wedding, Charlotte never stayed still. She made sure everything from the music to my dress change was organized and timed perfectly.Her positive spirit and confidence melted away any tension I may have had. We couldn’t have asked for a smoother execution of the wedding day itself. Charlotte did a wonderful job shepherding everyone, including us- the bride and groom- along to their respective venues and activities. 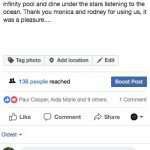 All our guests had an amazing time. Some guests had their toddlers with them and were impressed with how Charlotte went out of her way to make sure they were all well looked after. We even had a special table with kids activities ! I will recommend Charlotte to everyone I know! Truly the best wedding day I could have ever dreamt of! Planning a wedding is stressful enough and since we were doing if from abroad, we needed someone with whom we could communicate effectively, who understood our vision, and the limitations of our circumstances. 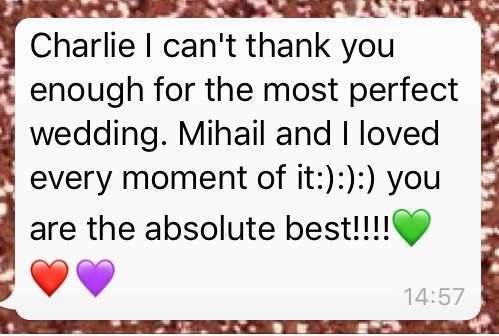 Charlie was certainly that person, impressing us with her knowledge and experience during the planning process and ensuring that things ran smoothly on our special day. She was professional, organized, thoughtful and went above and beyond to meet and exceed our expectations. There was no problem she couldn’t solve or hiccup she couldn’t find a workaround for. 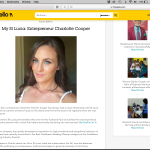 She was prepared for every eventuality, having armed herself with the knowledge and tools to get things done; a skill that’s essential in an island like St. Lucia, where things don’t always go according to plan! 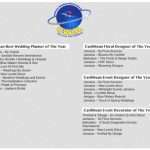 If you are planning a wedding or an event in St. Lucia, whether there or from abroad, we strongly recommend using By Charlie Ltd.
“I worked with Charlotte at Brintex Events, she was a hard working team member who met ever challenging demands and exceeded expectations with her “can do” attitude.